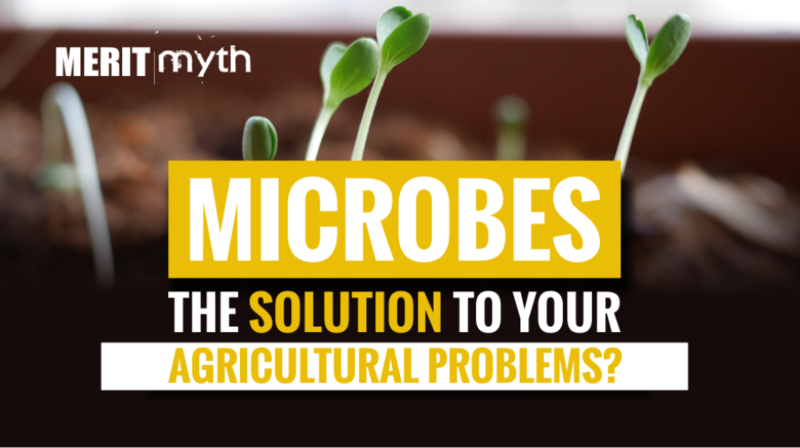 Microbes: The Solution to Your Agricultural Problems? Anyone in or around the soil health movement is most likely familiar with this notion. Of course, it is still of fierce debate between conventional and regenerative farmers. Here at Merit or Myth, we’ve dedicated most of our efforts to understanding both sides of the coin in an attempt to get the biggest picture possible. For more information on why practices that increase soil health appear to be the more ideal methods, you can visit our YouTube channel and/or our blog page. Today’s post isn’t geared at changing anyone’s mind in this debate. What this post attempts to illuminate is why something like soil could be a farmer’s best friend. Of course, we could talk in terms of yield, weed management, irrigation and the like to try to point this out. In reality, however, while these all appear to be benefits of healthy soils, they don’t address the core question: what is it about healthy soils that lead to these benefits in the first place? One of the most straightforward answers: microbes. It’s been estimated that a teaspoon of most healthy soil contains more microbes than there are people on earth. Nothing in nature boasts this sort of abundance without having a key role to play. Before we get into the specifics of that role, however, it’s important to stop and understand their growing relevance for today’s agricultural scene. We live in a time of change. One could argue that we always have. Nonetheless, the current change that faces us on the agricultural horizon is unavoidable. With global human population quickly approaching 9 billion, The American Society of Microbiologists (ASM) projects that farmers will need to produce 70 to 100 percent more food by 2050. 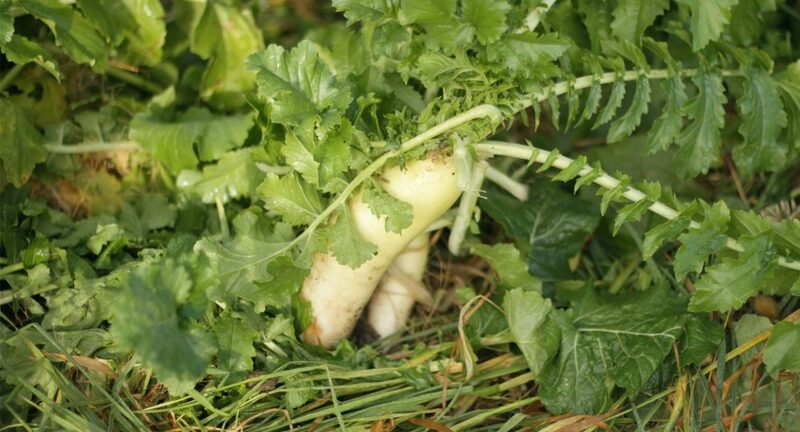 The only way to do this appears to be through the utilization of a key building block of healthy soils. You guessed it: microbes. If recent research is of any indication, these microorganisms not only cut down on inputs, but they also increase healthy crops. Our understanding of the role microbes play may have reached it’s most recent peak in December 2012 at the ASM’s colloquium where leaders in science, agribusiness and various members of the USDA convened. At that meeting, the attendees discussed the reality of population increases, the demands it will place on the farmer, and concluded with a challenge: to increase global food production roughly 20 percent while decreasing fertilizer and pesticide use 20 percent over the next 20 years. University of Minnesota’s Department of Plant Pathology Linda Kinkel was one of the leaders in attendance. She knows all too well that it’s only through applying what we know about microbes and deepening our understanding of them that this challenge can be made a reality. Here’s a bit more of what we do know: microbes play a crucial role in helping plants to thrive amid saline soils, extreme temperature fluxuations, and various other challenges mother nature throws at us. As they do a lot of work for the farmer, increasing their presence in our soils is a crucial step to the eventual elimination of pesticide, herbicide, and fertilizer. In addition, there is growing evidence that microbes are a key contributor to heightening flavors of top-quality produce as documented in strawberries. Keep in mind that the majority of these microorganisms are “good guys”, i.e., they don’t result in an economic loss to the farmer when present in the soil and if we manage for the “good guys” they do the work of regulating the “bad guys”. 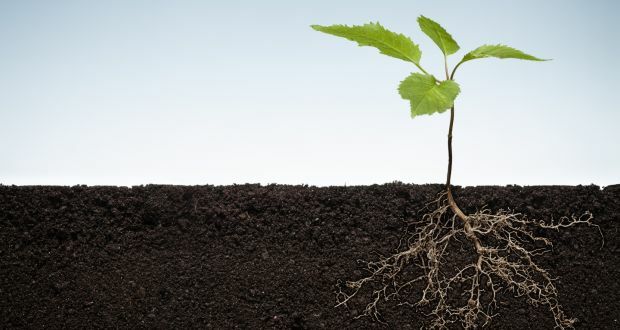 The process that allows an exchange between plant and soil is known as Rhizodeposition (simply put, the capturing of energy from sunlight in the form of carbon and then translocating that energy into the plant’s roots) and it has a crucial role to play in soil carbon turnover. Of course, as is the case with most any breakthrough in knowledge, there will most likely be an accompanying breakthrough in technology. Whether this new “technology” is an actual breakthrough or merely industry’s attempt to monetize a new development is, of course, to be determined. In the case of microbial activity being linked to crop production, there’s plenty of concern that all sorts of companies could jump in with “bug in a jug” additives that keep a farmer tied to input costs. Keep in mind the best microbial solution won’t come from industry – farmers, through fostering the land by applying soil health principles (minimum disturbance, keep a live root in the soil, feed the soil with diversity, and reintroduce animals to the land) can create a perfect place for natural microbes to thrive. When the farmer works with, rather than against nature, a beautiful partnership with a formidable ally is created. After all, Mother Nature has a 4.5 billion year head start on us in R&D.